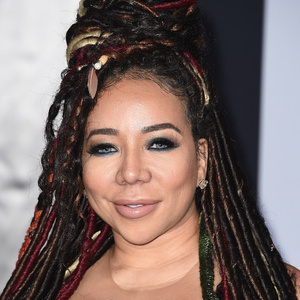 Tiny Harris net worth: Tiny Harris is an American singer and reality TV star who has a net worth of $3 million. Tameka "Tiny" Cottle-Harris is probably best known as a member of the R&B female group Xscape. Tiny Harris was born on July 14, 1975 in College Park, Georgia. She joined the R&B quartet Xscape in 1992 while attending Tri-Cities Performing Arts High School. She recorded three albums with them while signed to So So Def Records. She sang lead vocals on a number of their hit songs, and also won a Grammy Award with fellow bandmate, Kandi Burress, for co-writing the hit song, "No Scrubs" for TLC. Xscape disbanded in the late 90s. Tiny has long been a friend/partner of rapper, T.I.. They began a relationship in the early 2000s and have two children together. They were finally married in 2010. She also has an older daughter, Zonnique Pullins, from a previous relationship. 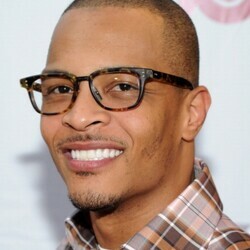 In December 2011, "T.I. & Tiny: The Family Hustle" premiered on VH1. The series chronicled the lives of Tiny and T.I. 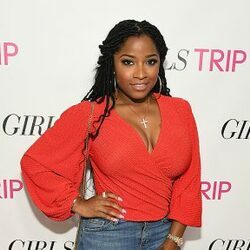 In addition to raising her family, she starred in the reality series "Tina and Toya" on BET for two seasons. She has continued to pursue her recording career. Xscape released their debut studio album Hummin' Comin' at 'Cha in 1993 and it reached #3 on the US R&B chart and #17 on the Billboard 200. Their album Off the Hook was released in 1995 and reached #3 on the US R&B chart and #23 on the Billboard 200. Their album Traces of My Lipstick in 1998 reached #6 on the US R&B chart and #28 on the Billboard 200 chart. Xscape's singles "Just Kickin' It", "Understanding", and "Who Can I Run To" all reached #1 on the US R&B chart. Harris filed for divorce from T.I. in 2016. In 2017 she was announced as the owner of the Atlanta Heirs basketball team of the newly formed Global Mixed Gender Basketball league.